STCW or RYA courses for commercial endorsement? If you’ve been boating as a hobby for a while, you’ll know the satisfaction that comes from adventuring across the waves and honing your craft as a sailor. But what if you want to turn your passion into a full-time career? There’s plenty of working opportunities across the marine industry – but if you’re a relative newcomer to the world of commercial sailing, the paths to those opportunities can sometimes feel mystifying. Let’s demystify them together. Here’s our quick guide to the basic qualifications you’ll need for a career at sea. First things first; if you’re looking for any kind of work on board a yacht, powerboat or other vessels over 24 meters, STCW basic safety training is a legal necessity. Whether you’re behind the wheel of a superyacht, or just behind the bar serving drinks, you must have at least the minimum level of safety training as set out by the internationally-agreed STCW code. Once you’ve completed your training, you’ll be better prepared to handle emergency situations at sea – and with a valid medical certificate, you’re eligible for roles which don’t require crew/skipper qualifications (such as engineering, deckhand services, waiting staff and more). What’s in the STCW BST course? As long as you’re 18 or over, you won’t need any previous experience or qualifications to complete the programme. All four modules can be completed in one week; alternatively, Personal Survival Techniques and Elementary First Aid can be completed by taking the RYA Sea Survival and First Aid courses respectively. However, please note that the RYA Professional Practices and Responsibilities (PPR) course will not count towards a Personal Safety and Social Responsibilities (PSSR) certificate. Don’t let the similar names catch you out! If you’re specifically looking for employment as a skipper or powerboat skipper, your next step after completing your STCW training and earning the relevant RYA certificates is to apply for a commercial endorsement. With this qualification, you’re eligible to work on any small watercraft with a British flag. 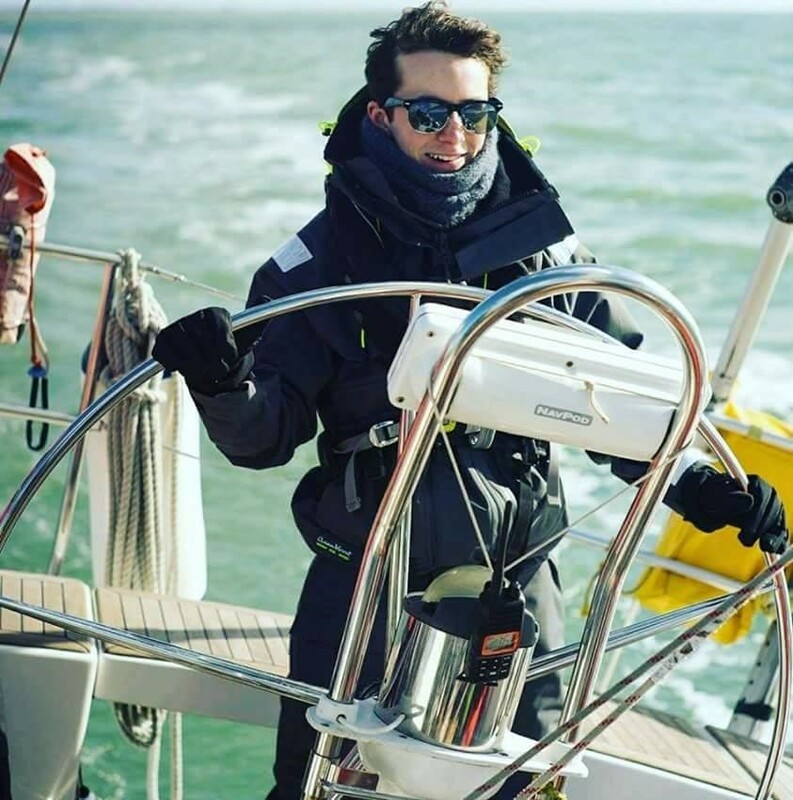 If you’re aiming for a career as a skipper, a Yachtmaster practical certificate is the one employees will favour the most – it demonstrates you have the experience and expertise to handle longer passages in a variety of sailing conditions. What will you need for a commercial endorsement? Lastly, you’ll need a valid ML5 medical fitness certificate (which needs to be renewed every five years) or a ENG1 certificate (which needs to be renewed every two). Once you’ve earned your commercial endorsement, you’ll need to revalidate it every five years as well. Hold on; haven’t we already covered this one? Not exactly. While STCW basic safety training is compulsory for anyone looking to work at sea, an STCW endorsement is an additional qualification for skippers who have achieved their Yachtmaster Offshore or Ocean certificate of competence and earned their commercial endorsement. It’s not essential; most ports will accept your Yachtmaster certificate and commercial endorsement as qualification with no issues. However, some employers will insist on seeing an STCW endorsement before they’ll consider hiring you. What will you need for a STCW endorsement? As well as your Yachtmaster qualification and commercial endorsement, applicants for the STCW endorsement will need to have completed the four aforementioned basic safety training modules. Like the standard commercial endorsement, the STCW endorsement needs to be revalidated every five years. If this all sounds like a lot to take it, don’t worry! Here at Ocean Sports, our friendly instructors can help you find the right course progression to achieve your boating dreams. As well as impartial advice and ongoing support, you can rely on us to help you secure your commercial endorsement and start breaking into the commercial marine world. Give us a call on 02381 242159 to get started on your path to success.